Our mechanics have typically serviced Toyota, Holden and Mazda in and around your area but all mechanics are experienced and prepared for any vehicle. Servicing and repairing all vehicle makes and models on site, recent jobs in and around your local region have been to attend vehicles like Daihatsu, Renault and Volvo. Parts required for the job are with the mechanic or sourced quickly from only the highest quality providers. Typical parts carried by the mechanic have included spares like coil pack, control arm and sway bar. If you own a Alfa Romeo or Saab, or whatever you are currently driving, you can rely on a completely mobile mechanic available at the time that suits you best to carry out industry leading repairs and service work to your vehicle wherever you need us to be. Happy clients have already given us over 25 positive reviews right across Australia. Find out how convenient repairs and service work can be with one of the 22 mobile mechanic available in The Hills where and when you need them with Lubemobile. Let us come to you. The easiest and most convenient way to ensure that you keep your service history up to date and on top of your car repairs is to have everything you need done at home, the office or wherever else you happen to be. 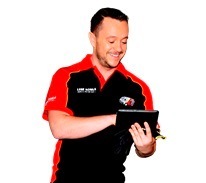 Our mobile mechanics are attending Northmead, Rouse Hill, Marsden Park and Northmead. We are everywhere and everywhen you need us to be. 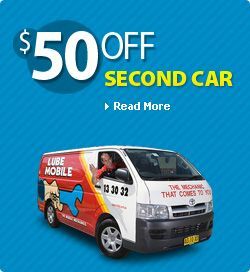 Lubemobile is Australia’s #1 fleet of mechanics servicing and repairing vehicles all over the country with over 824 vehicles attended to in your local area alone over the last 3 months. Regular vehicle services and jobs around your area have included Log book servicing. Our specialists have what they need to complete a full service and repair at your chosen destination including tyre replacement and specialty tyre related repairs, sway bar fitting and fuel pump replacement.